Factory Original - This is NOT an aftermarket product! 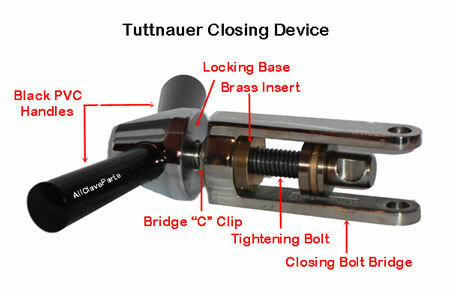 WARNING Failure to install c-clips on the top and bottom of the Hinge Pin can result in the Hinge Pin sliding out of the Hinge. This will result in the failure of the safety locking system to maintain the Chamber seal, which can result in personal injury.